Crippled with debt but determined to make it on her own, Jolie Daniels pours her heart and soul into the town’s bookstore. 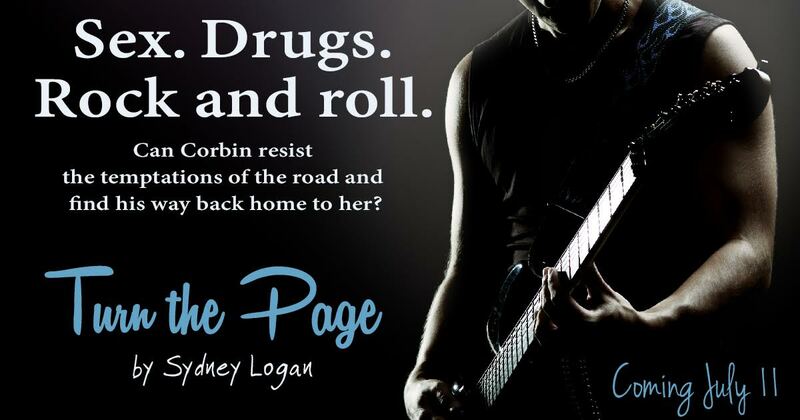 When Corbin finds his debut album in Jolie’s discount bin, sparks fly between the pretty bookstore owner and the rock star musician. bring his guitar to the river the next afternoon. sharing new songs, but for some reason, this seemed different. Important. excitement as she eagerly awaited whatever he was about to play for her. But that wasn’t the only reason he was nervous. thing he ever wanted to do was disappoint her. on the strings, she gently reached for his hand. these days, it was her opinion that mattered most. and strummed a few strings to make sure it was in tune. glance at the beautiful woman sitting in front of him. “And in the first song . . . the chorus needs some work. He took a steadying breath and gazed at her. “I loved them,” she said softly. chance to turn into something . . .
something that might be incredible and wonderful and life changing. It was a chance he had to take. Not kissing her simply wasn’t an option. and he couldn’t help but smile when he felt her tremble against him. softly, and it was that moan that finally broke him. kissed until the sun disappeared behind the mountains. 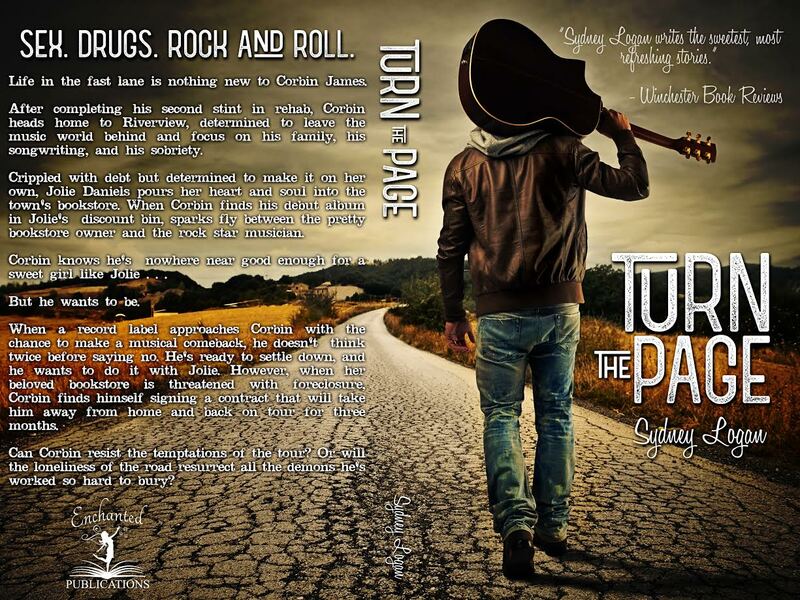 Turn the Page is a heartfelt story about a rockstar who lost everything, struggling with his addictions and coming back home. After years on the road, it was time for Corbin James to face the music. Almost ruined, nothing left in his career, just maybe some faith to start over, to be on track again. In his career, regrets about how he lived and handled his life made him reevaluate his priorities. Dealing with addictions, trying to be part of a family he was estranged to, being someone more responsible. 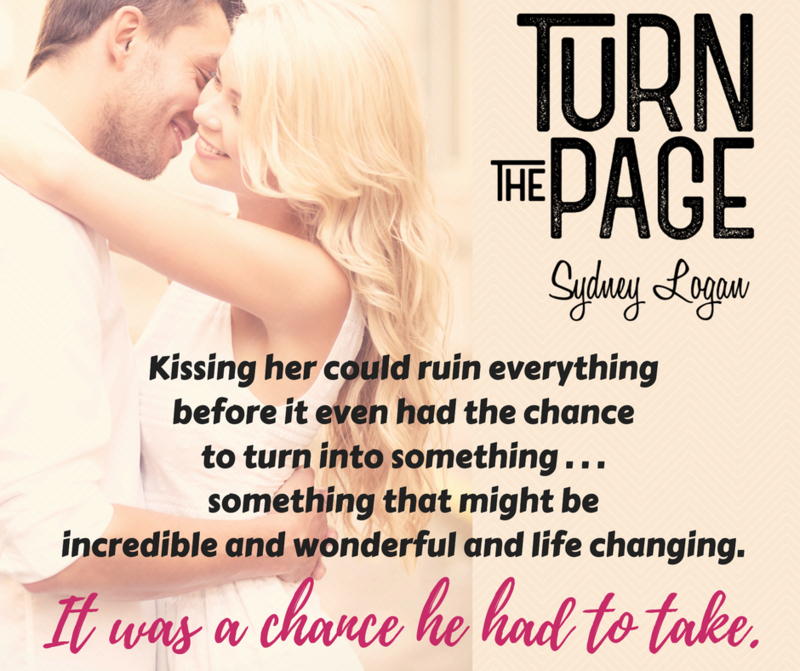 Jolie Daniels, the sweet owner of Turn The Pages bookstore, was trying to maintain her business in this town. It was her dream, a place filled with books and music. In spite of her financial difficulties, she was still joyful, not letting this deter her, caring about her customers. Fierce and Independent, she didn’t want any help, she wanted to succeed on her own. 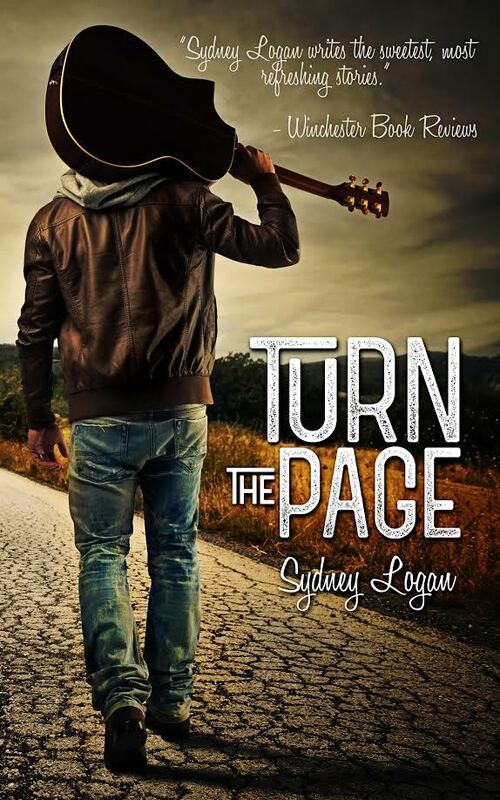 When Corbin found one of his album in her bookstore and getting nicely turned down because of his cockiness attitude, it was the beginning of a friendship and definitely something more. 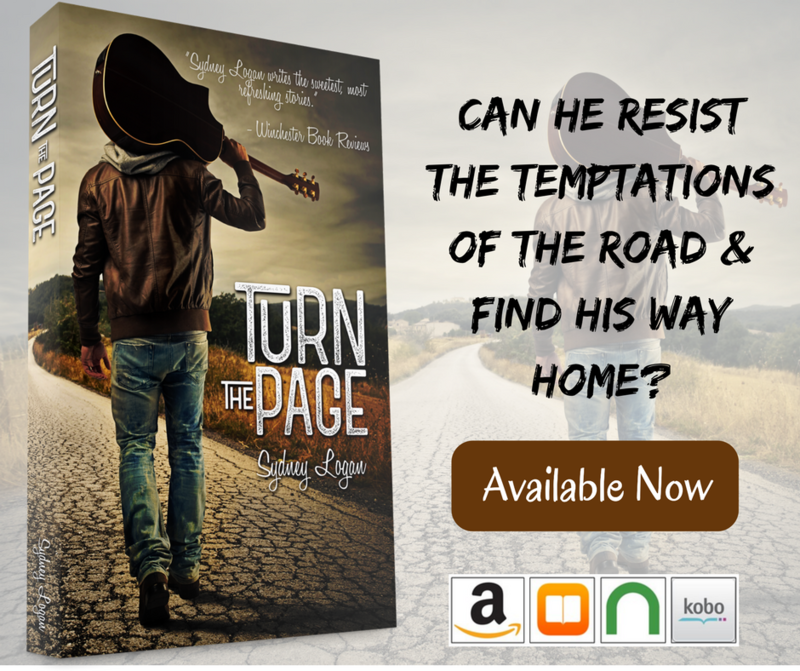 They may took their time to admit their feelings towards each other but the challenge was to make their couple work with the distance and temptations on the road. They handled it as a team, not acting like selfish or resentment. They supported each other without judging their significant other. The pace was kinda slow but surprisingly it matched perfectly to their story, something beautiful and strong. 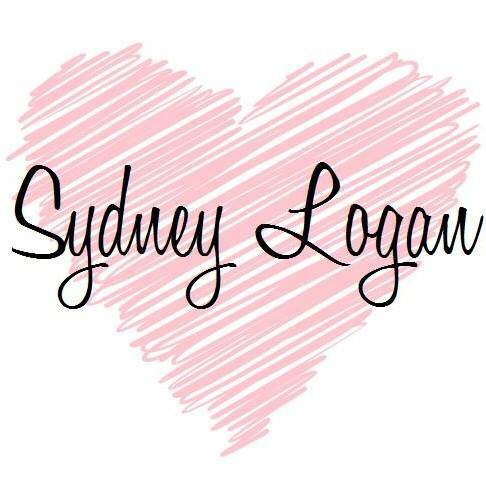 I liked Sydney Logan’s writing style, focused on the characters’ feelings, very smooth, sincere. It was an harmonious blend.